There are so many things I want to discuss about Skeleton Creek , a unique concept book by Patrick Carman, that I don’t know where to begin. 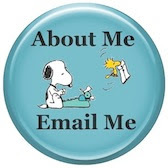 Do I discuss the possibilities for reluctant readers, the importance of 21st Century Literacies, the research buzz about male readers or do I just review the story itself? Mr. Carman & Scholastic have done a great job promoting this tile, but I’ll start by giving you the premise: The town of Skeleton Creek is hiding a secret. Teenage writer Ryan lets us into his journal just as he’s released from a two-week stay in the hospital. Something sinister has happened to Ryan and his parents have decided the best way to keep him out of trouble is to keep him away from his best friend, Sarah, a film aficionado. But you know that’s not going to happen. They’re teens! Sarah & Ryan communicate through email and a secret password-protected website. Every twenty-five pages or so, the reader heads off to the computer to access one of Sarah’s viral-style videos, building clues to solve the mystery of Skeleton Creek right along with Ryan and Sarah. Some have called it interactive reading or cross-platform storytelling or split media, but really, the NCTE probably coined the best phrase: 21st Century Literacies. Educators, Librarians and Reading Specialists have been buzzing about 21st Century Literacies for quite some time. Finding best practices to utilize our new technologies and competing with the multimedia-driven society are nothing new. However, Skeleton Creek is a first. 39 Clues (another Scholastic title and also touched by author Carman’s hand) has a fantastic gamer-interactive slant to it, but I believe Skeleton Creek is the first to make use of the YouTube, viral, conspiracy, Easter egg hunting craze. For this alone, I am impressed. But impressing little old me isn’t important. I’m a strong reader, one of those sorts who LIVE inside a story; I wouldn’t have picked reading as a profession otherwise. I think stopping to go watch a video is a massive buzz kill, but I’m not the sort of person this story is aimed towards. The reluctant reader, the youth of daily YouTube perusals, the boys who never go near a book are going to be enthralled by this. That’s my educated opinion. I saw a few reviews criticizing certain aspects of Skeleton Creek . Each time, I kept thinking, “But you’re a book reviewer! You love to read. You’re missing the potential” As a reading teacher who’s seen her share of struggling readers, I can really get behind this format. The short bursts of text; the climactic plot, and the multimedia format all add essential support for a struggling reader. Read a few pages, boom, you get to go watch a supporting video that not only further enhances the experience, but amplifies the plot. The bottom line is that an entertainment experience is only as good as the story. I can dissect certain elements of being in real time with the journal writer, of telling a non-linear story to reluctant readers, but Skeleton Creek is one of those along-for-the-ride stories. And those are the ones that seduce a reader. You’re in on a secret, the foreshadowing hints abound, and the plot – not descriptive brilliance or character worship – drives the tale. And, I was scared. I read this at night and was afraid to leave my bedroom to get my laptop! As for the videos, I could play Roger Ebert discussing acting plausibility and sound effect oddities, but the videos are meant to be viral. Think Blair Witch or Cloverfield without the nose hair shots or queasy camera shaking. My only real concern involves accessibility. I’m a Mac geek; I’m never unplugged (see that Twitter button over there →). But, I wonder if the story would wait until I could get to a computer, especially if I lacked Internet access excepting at school or a library. Yet, we wait months for Lost, filling our hunger with Internet theory sites until the plot continues. So, I’m hopeful Skeleton Creek could do the same (see crazy theory site below – Ha!). Teachers would be well served to explore Skeleton Creek because this is going to start a trend. Mark my words (and just remember when we thought YouTube book trailers were the bomb). Genre: Mystery. Age: 9-12, but I also vote high school reluctant reader. Pages: 144. A Special Thank You to Mr. Carman for allowing an advanced peek. I'm a fan for life! A Crazy Theory Site? or Something More Sinister? 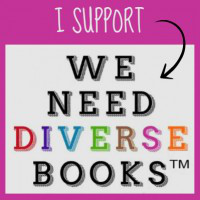 Additional book reviews can be found at Kristina’s Favorites, Maw Books, Abby the Librarian, Book-a-Rama, YA Fabulous, What Vanessa Reads, A Year of Reading, MariReads, YA Reads, Sharon Loves Book & Cats, Books and other thoughts, 100 Scope Notes, Just Blinded Book Reviews and Book Reviews & More. Patrick Carmen became a writer after making up bedtime stories for his young daughters. That story eventually grew into the popular Land of Elyon series. In his spare time, Mr. Carmen counsels troubled youth and volunteers his time assisting impoverished countries. You can read more about him on his website. Hadn't yet heard the term 21st Century Literacies. Thanks for spotlighting it--interesting post. NCTE coined it a few years back when the bibliopurists were clinging to their books. Wow, so glad I linked from your post at kidlit yahoo to read this. There is much to think about and digest. But what I do want to say, is that we need to listen to kids about what they want to read, and how they want to read. I review books as an adult, and I think I know what makes a book great. But do I really know? Is there some sort of standard anywhere? If we want kids to read, and most of us do, I believe we should introduce them to many many wonderful books, and then stand back while they choose. And if they want Sponge Bob or Wall-E or a book with a sparkly cover, then that's okay too. They learn to refine their choices by choosing. I have yet to see a bad review of this book. Everybody just loves it and the concept of reaching out with a this new way of storytelling. I really liked it as well and read it in just 1 or 2 sittings. Like you I wonder about it's accessibility especially in the future. We'll just have to enjoy it while we can. The Book Chook: I am totally with you on this one. reading is reading practice. Period. Get them to like reading and you can quietly guide them to better literature. Skeleton Creek is no Giver, but it's a fun ride. I watch Masterpiece Theater AND Lost. There's room for both. 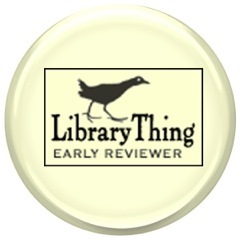 Natasha: I saw your review and agree with your idea about longevity, but I'm not certain that matters as much as getting reluctant readers engaged. As I said to Book Chook (above), entertainment leads to engagement leads to less fear for eventual wider exposure. Bad for Mr. Carman's staying power, but I expect he's got some other ideas floating around in his noggin'.